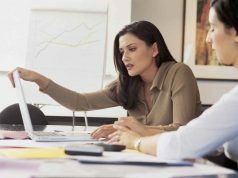 The complexities of FASB and the IASB’s new revenue recognition guidelines will place heavy strain on back office processes. For quarters starting after December 15, 2017, companies will be required, under ASC 606 and IFRS 15, to perform specific accounting processes that their existing ERP software or legacy systems don’t execute well or, in some cases, don’t offer at all. 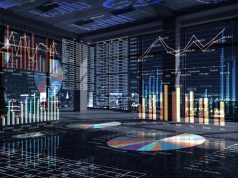 Companies considering making changes to their ERP or financial system, should have a clear strategy when it comes to complying with the new revenue recognition rules. ERP systems, by their nature, tend to be a ‘mile wide and ½ inch deep’. They may not be up to this task, nor for that matter, well suited to the new recurring types of revenue associated with the subscription economy. This blog post is the last in a four part series and focuses on a new approach called ERP augmentation. ERP Augmentation is sometimes referred to as ‘two tier ERP’, an ‘ERP Hybrid Cloud’ strategy, or perhaps infamously in the past, as a ‘best of breed’ strategy. The concept in this approach is to retain a core ERP backbone, but to surround it with modules that are designed for specific, deep functionality tasks. It is not uncommon today to find companies running a core ERP backbone surrounded by anywhere from 1 to a dozen focused modules. In the past this approach was deemed undesirable for two reasons: data and integration. It was commonly held that having a single database for all of your data was beneficial as was minimizing integrations. However, with web service integration options stabilizing, and with advanced approaches for dealing with data, these limitations have largely gone away. On the other hand, the pain of trying to live with a single ERP system in terms of cost of implementation, vendor lock-in, migration of work to spreadsheets, manual processes, … have been widely documented, and this before even considering the new complexities described above. The ERP augmentation path is evolutionary rather than revolutionary. It is inexpensive in comparison to the cost of a new ERP system via rip and replacement or even an ERP upgrade. The software is built with a company’s initial investment in mind. ERP augmentation software is compatible with leading ERP platforms and integrates seamlessly, stabilizing implementation costs. Costs for implementation are typically 1/10th or less of the cost of a rip and replace of your ERP. Augmenting your ERP takes far less time. Companies can return to a productized environment quickly and minimize disruption to their business and existing ERP system. The solution is designed to grow and evolve with a company. If the business changes directions, one or more modules can be replaced without impacting the backbone itself and without disrupting the remainder of the processing. Companies are able to reduce ongoing maintenance costs and avoid vendor lock-in typically associated with ERP upgrades and customizations. ERP augmentation software is a bolt-on solution that upgrades a company’s legacy ERP or financial system. Bolt-on modules are typically produced by software vendors with a singular focus. If properly selected, the software will automatically automate the complete set of processing required by the new set of revenue recognition guidelines. The data and accounting issues that were problems of the past no longer exist. Softrax believes in this approach and offers a solution that augments existing ERP systems specifically to automate even the most complex revenue recognition rules. With Softrax, companies can have peace of mind knowing that for every single business change that comes along after the initial implementation they are covered. Softrax’s advanced revenue recognition module should never need to be replaced as a business grows. 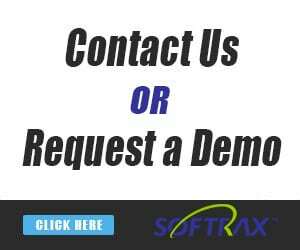 Softrax provides exceptional automation, security, controls and support for audit and reporting. Have questions of ERP augmentation software? Speak to a Softrax representative today by visiting www.softrax.com. Interested in learning about other available options when it comes to updating ERP and financial systems? 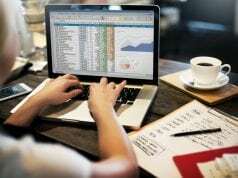 Read full blog series, Analyzing the Options, to learn about ERP upgrades, Rip & Replacement, and use of Spreadsheets for accounting. Stay up to date on future revenue recognition blog posts by subscribe to Softrax revenue recognition blog today. You can also follow Softrax on social media Twitter, Facebook, LinkedIn, Google+ , and Glassdoor.